September 20th Event a Sucess - Paoli Battlefield Preservation Fund Inc.
From all of us on the all volunteer Board of Directors of the Paoli Battlefield Preservation Fund, we would like to thank everyone who turned our for a great day at our Military Timeline and Veteran’s Ceremony on Saturday, September 20th. 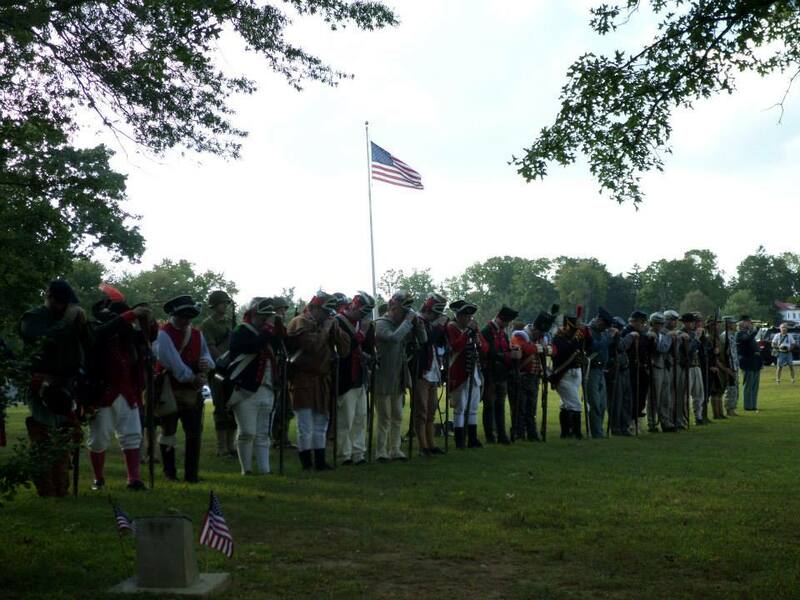 We’d also like to thank all of the Organizations, Sponsors, Businesses, Craftspeople, Borough Officials, Volunteers, State Representatives, and Re-enactors involved with making our September 20th event a success. We look forward to planning our event for next year on Saturday, September 19th, 2015 and hope to see you there!! If anyone would like to help us in planning, promoting, participating or sponsoring our event next year, please contact us. Ben Franklin fires the Wahl Gun! !